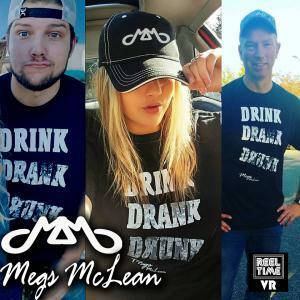 ReelTime VRs Megs McLean will be opening for Country music icons Clint Black and Sara Evans on August 16th, at the Tulalip Amphitheatre. 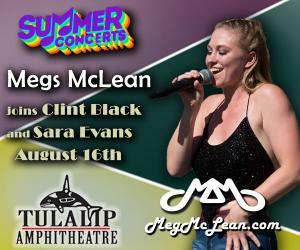 KENMORE, WA, UNITED STATES, August 16, 2018 /EINPresswire.com/ — Megs McLean will be opening for Country music icons Clint Black and Sara Evans on August 16th, 2018 at 7 pm at the Tulalip Resort Casino outdoor Amphitheatre. Other artists performing in this series include Frankie Valli and the Four Seasons, Melissa Etheridge and LeAnn Rimes, Stix, and Dwight Yoakam and Joe Nichols. In addition to Megs songs on her EP “Out of School”. This performance will feature several new original songs that she will be recording for her upcoming untitled album. 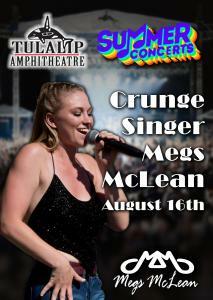 Megs McLean is a full-time professional singer/songwriter and performer who has opened for David Lee Murphy, Lorrie Morgan and Pam Tillis, played for Taylor Swift and Kenny Chesney audiences and headlined numerous festivals and events, including the Hard Rock Café, Cabela’s, casino’s and bars and private parties throughout the northwest. She has performed Live on Fox 28 News, been featured on MTV Live, Pure Country, VH1 Classic and radio stations throughout the nation. Megs and her band deliver an energetic mix of guitar-driven “Crunge” Country Rock Grunge originals. Her First single “It’s My Truck” gained Megs recognition as one of the top 10 “Next Women of Country” on Spotify as well as “Country Pick of the Week”. Recorded at the world-famous London Bridge Studios in Shoreline, WA, with Ben Smith of "Heart" on the drums, Brad Smith from Blind Melon on Bass, and Shohei Ogami on guitar.